Three basic conditions impair circulation to feet and legs: Diabetic Neuropathy, Peripheral Neuropathy and Peripheral Vascular Disease. In the U.S. alone, these three conditions are found in over 12 Million people. Hydrothotics clinical research (try to find any evidence at all to support the claims of the “gellin’” crowd): shows that wearing Hydrothotics increases return (or venous) blood flow from the feet of ALL patients by an average of 54%. One diabetic patient actually registered a whopping 115% increase! Increased blood flow delivers more oxygen which speeds healing. 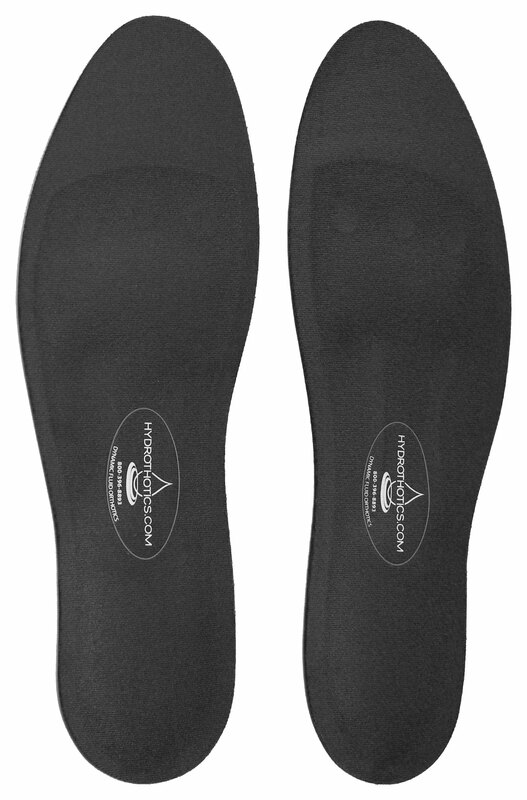 The dynamic fluid technology reacting to pressure allows Hydrothotics to provide the equivalent of a massage for your feet. Massage increases circulation; increased circulation carries more oxygen and more oxygen speeds healing. When we stand for hours at a time fluid builds up because of inadequate blood flow. Hydrothotics’ constant massaging action works like a booster pump to keep circulation moving along at healthy rates.